In a prior post, The 1 Way To Get Out Of Debt: Pay It Off says the only way to pay off debt is to pay it off and that’s true…expect there’s a loop hole, a worm hole…debt forgiveness. This title is another way to say: settle your debt, but don’t do. not. call it that. And well, pay off some of it. This is GREAT news…that’s a whole chunk of change not pouring out of your future paychecks. The short and sweet is this: save a lump sum, and in a negotiation with collectors aim for 50% and barter. If you were good at saving you probably wouldn’t be in debt. SO-Let it default…by not paying it. It will be purchased by a collection agency. Not a secret: For much, much less…paid pennies for your debt. Not A Secret: Bills going into collections isn’t typically advisable. It knocks your credit score…Learn something useful here. 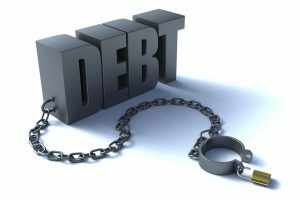 In a prior article The 1 Way To Get Out Of Debt: Pay It Off is true…expect there’s a loop hole, a worm hole…you can bury the debt – with debt forgiveness. Credit Cards in their hard lined plastic burning a hole in your wallet…The paperless paperwork about the interest rate, pages of fine print…gives an impression that these things are set in stone. Read The Normal Print, Learn These 6 Tips! There is a 6 tip process that Tiffany Alichi wrote for the Huffington Post in an article about debt settlement. Armed with that letter confirm that the debt is not zombie debt. What is that? DO NOT agree to make a payment until you know that. A payment of any amount will “re-age”…that’s what they call it, but it returns the zombie to life…re-set! the credit card debt. No, thank you. It’s time to negotiate! Collectors have quotas to meet, and so far they are humans and not bots. Call towards the end of the month, because you’ll have a better shot at a better deal. 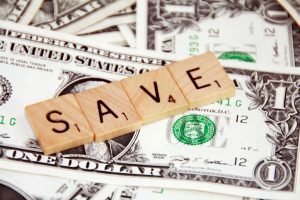 50% is the dream, but you’ll have more success if you start low, like 30% of what you owe, and pay the rest in a lump sum, called the-money-you-saved. Get The Agreement In Writing. You want this dealio to be called “paid as agreed upon” – NOT settled. Do not call it “settled”. This is VERY important for your credit report. Own that fact in writing…that paper trail can help you if you have to prove otherwise. Pay taxes on what you negotiated down! Good job. If you negotiate less than $600 settled debt then you do not have to pay taxes on it. Again, get the agreement in writing. Then once the dust settles, then repair your credit. Check your credit report for errors. Better yet, let someone else do it in a package deal where you get some services you may also need…meanwhile…repairing you credit. Here is a great place to do that (plus more) at the Sub Prime Credit Store. You might see a major perk of paying off your debt! A rise in your credit score! Use your savings. Use your income tax return to pay off a percentage of your debt in one sweep and the rest is forgiven. With a little planning…anything is possible. Join The Income Tax Planning Network.